A new Time Lord isn’t the only change that is coming to “Doctor Who” this year. The long-standing sci-fi series is moving to Sunday nights from its usual Saturday slot, and will premiere on Oct. 7, BBC America announced Wednesday. The show’s new time slot hasn’t been announced, but the network’s U.S. premiere will start at the same time as its U.K. debut. The premiere episode, titled “The Woman Who Fell to Earth,” will be followed by a special encore in its new regular primetime evening slot. The new season stars Jodie Whittaker as the 13th doctor, along with Tosin Cole as Ryan, Mandip Gill as Yasmin, and Bradley Walsh as Graham. Chris Chibnall is the new showrunner for Season 11. “Doctor Who” is a BBC America co-production with BBC Studios. Fans got a first-look at Whittaker in the titular role in a 40-second trailer released at San Diego Comic-Con in July. 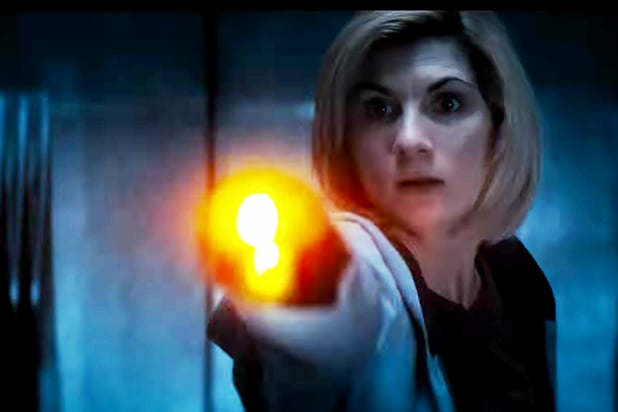 At the end of the “Doctor Who” Christmas special “Twice Upon a Time” last December, Whittaker became the 13th Time Lord, fulfilling the destiny that had laid before her since her casting as the next Doctor was announced in July. Fans were introduced to Whittaker as the new Time Lord when Peter Capaldi (who has been the 12th Doctor since 2013) regenerated into the very first female lead in the show’s 50-plus year run.